After sharing new song "Park Life Forever" earlier this year, Against Me! 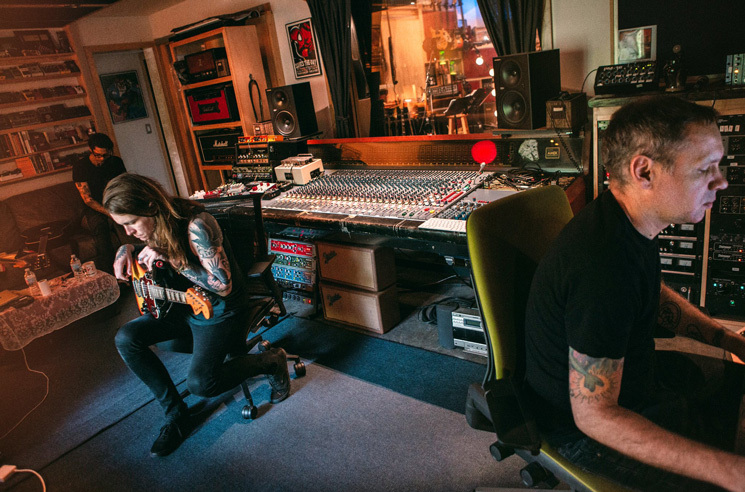 's Laura Jane Grace has now announced a new full-length with new group Laura Jane Grace & the Devouring Mothers. The trio, which features Grace lining up alongside Atom Willard and Marc Jacob Hudson, will deliver their debut effort through Bloodshot Records this fall. I've been a longtime fan of Bloodshot and the artists they work with. Having spent the past year working on a record without knowing where its home was going to be, when I discovered that the Bloodshot offices were only a couple of blocks away from my apartment I went in and asked if they'd consider giving the songs a home. They were cool enough to hear me out and oblige. I couldn't be more happy about the work we're going to do together and sharing it with the world. While a title and further specifics have yet to be confirmed, the band have mapped out seven tour dates, all of which are in the United States. You can find an itinerary below. Tickets for all dates go on sale at 10 a.m. local time this Friday (August 3).